The tiny details are what makes an experience extraordinary. 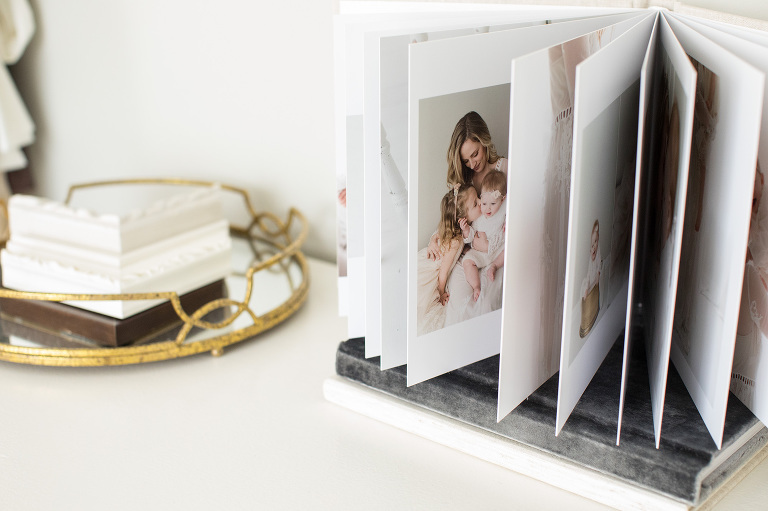 Your investment in photography will yield beautiful, heirloom images from our time together. My hope is that looking at these moments will ignite a memory or feeling, something that might have been replaced if not captured in print. they quickly realize their images deserve so much more, and what they really want are framed prints or an album. For that reason, I have carefully curated a collection to choose from. You select what you love most at your ordering appointment, ensuring your images live on your walls or in an album forever. I also believe that our time together should be filled with moments you normally wouldn’t experience. Hair and makeup services, access to the Client Wardrobe, and personalized styling all help you look and feel great on the day of your session. You also see your images for the first time as printed proofs, beautifully packaged in a display case to take home. It’s all meant to go above and beyond what you are used to, creating a personalized experience that is enjoyable from beginning to end.